Jim Carrey made two films in 1994 that spawned sequels. While both films (Ace Ventura & Dumb and Dumber) grew into classic nineties comedies and catapulted the actor into superstardom, the biggest difference between the two is that Ace Ventura: When Nature Calls came out in November 1995 instead of twenty years after its predecessor like Dumb and Dumber To. Comedy sequels barely have a mediocre track record, so why jump into one right away? 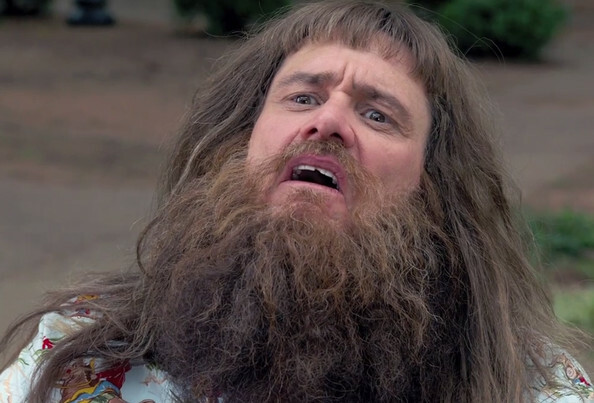 2014 already sees two comedy sequels that will quickly cash in while the iron is hot (with premises resembling the first) in 22 Jump Street and Horrible Bosses 2. Again, the only difference between these sequels and Carrey’s recent one is that Dumb and Dumber To didn't come out as quickly as possible- even if it looks that way. For a couple decades, the biggest cog in the Dumb and Dumber-sequel-machine was the lack of Carrey’s involvement. 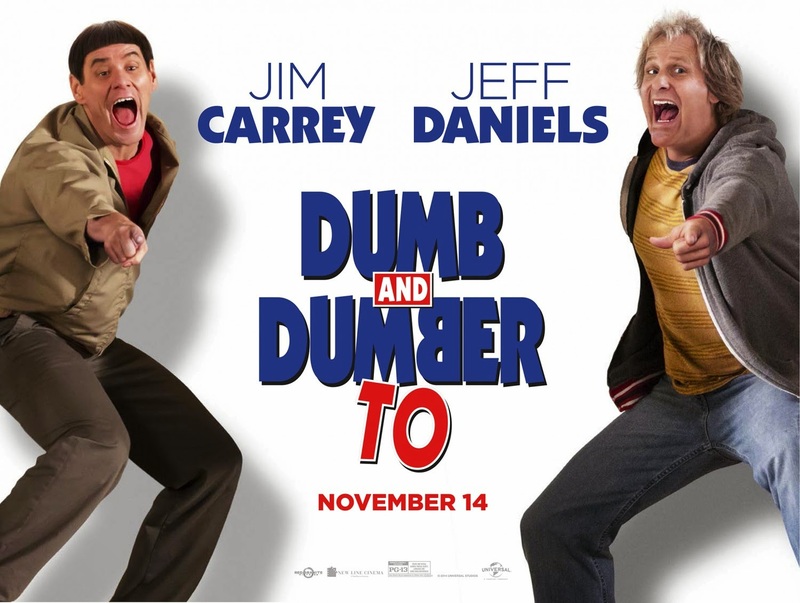 The Farrelly brothers recently revealed during press rounds that their star finally agreed to make Dumb and Dumber To after the actor watched the film on cable in a hotel room and happy memories of making the first film rushed back all at once. It seems as if something really must have been triggered during Carrey’s nostalgic hotel stay, because the actor flawlessly fits right back into Lloyd right down to the chipped tooth. We catch up with Lloyd at film’s start, having spent the last twenty years recovering from the events of the first entry. Daniels’ Harry is still dumb, but he’s not the same kind of moron that he was twenty years ago. Both friends come off as pure idiots, while that was pretty much just Lloyd’s role twenty years ago. Fans remember Harry a little more together and with a hair more going on upstairs than Lloyd. Harry shouldn’t have been limited to Lloyd’s intellectual equal in the sequel and his peanut butter gag went the opposite way of funny. That’s on the writing—not Daniels’ performance. Perhaps it was done intentionally as the plot revolves around finding Harry’s long lost daughter in hopes of donating her kidney to him. Carrey and Daniels still enjoy playing their old characters and after a while one gets caught up in it. They can still make us laugh as Harry and Lloyd, but several messy jokes and repeated gags get in the way of what should have been a memorable comedy twenty years in the making. Kathleen Turner (Peggy Sue Got Married, Romancing the Stone) makes a welcome extended cameo and Bill Murray pops in for a humorous masked cameo. Six writers are credited for a film that barely seems written by Harry and Lloyd themselves at times.